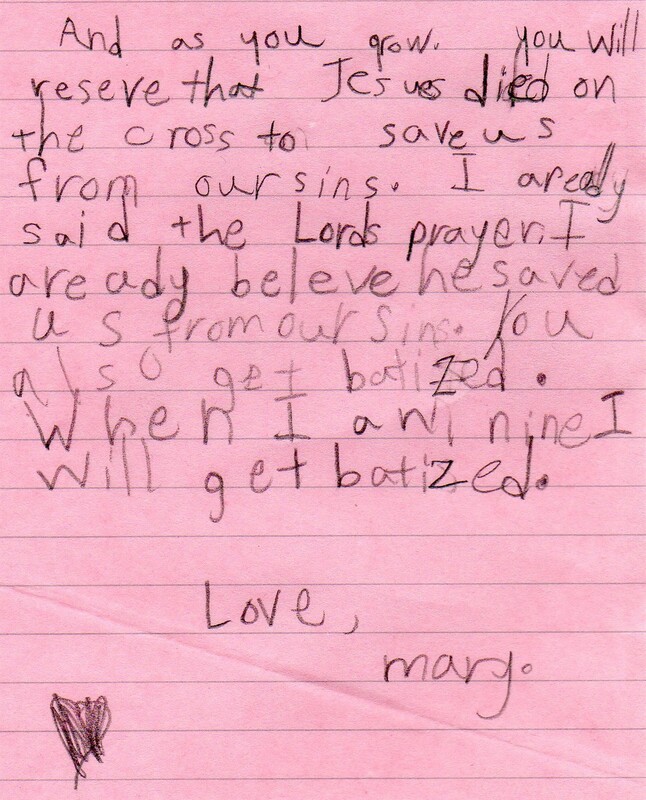 The Sunday after Mother’s Day, our six-year-old daughter told us on the way to church that she was ready to say the sinner’s prayer and invite Jesus into her heart. She’d been grappling with this decision for a few months by this point. At the end of the service, her daddy and I knelt with her at the altar by the wooden cross that stands over our church’s Open Door service while she said the sinner’s prayer and asked Jesus into her heart. She wrote this soon after. And as you grow, you will reseve [receive] that Jesus died on the cross to save us from our sins. I aready [already] said the Lords [sinner’s] prayer. I aready [already] beleve [believe] he saved us from our sin. You also get batized [baptized]. 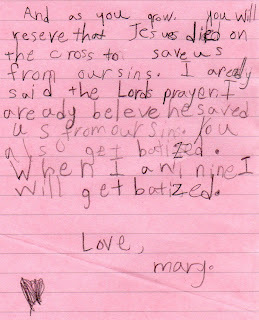 When I am nine I will get batized [baptized].